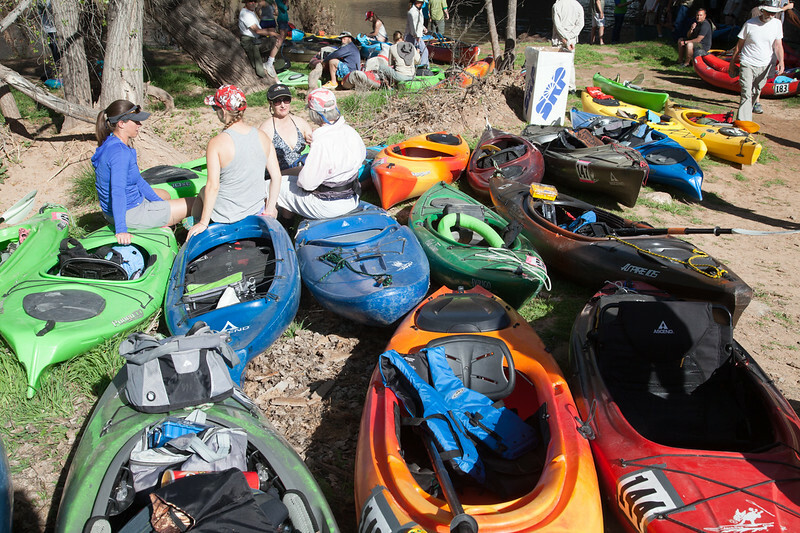 The 5th annual Verde River Runoff canoe, kayak and SUP race was a great time for all sorts of paddlers! There was a class for any level of experience and fitness and experience, and everyone had a greatt time. The weather cooperated, with 80º+ and clear skies! Congrats to VRVNO for producing another fine Verde Valley event! Verde River Runoff, White Bridge to Beasley Flat, 3/18/17. Produced by the Verde River Valley Nature Organization (VRVNO), this was the 5th annual event. Over 130 boaters registered for the contest.